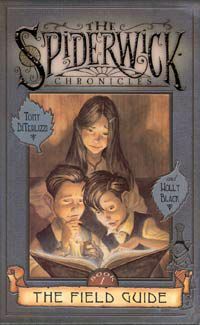 The Spiderwick Chronicles is a popular children’s book series written by Tony DiTerlizzi and Holly Black. The fantasy stories revolve around the three Grace children and their frightening experiences with fairies when they move into an old Victorian home. The letter went on to say, “We just want people to know about this. The stuff that has happened to us could happen to anyone.” A few days later, according to Black, she and DiTerlizzi met the Grace children, and the story the children told them became The Spiderwick Chronicles. After their parents’ divorce, the Grace children and their mother move into the ramshackle Victorian home previously occupied by their great-aunt Lucinda. The three children, thirteen-year-old Mallory and her nine-year-old twin brothers, Jared and Simon, are still adjusting to their parents’ divorce and are not happy with their new home. While Mallory has her fencing to keep her occupied and Simon his menagerie of animals to care for, Jared is angry and at loose ends. Almost immediately, odd things begin to happen, beginning with strange sounds in the walls, and leading to the discovery of the small unexpected and unfriendly other occupants of the house and area. Written in the third person, the books emphasize Jared’s point of view. It’s poor Jared who tends to get blamed for all of the unpleasant things that happen, thanks to the faeries. He finds a secret room and an amazing book Arthur Spiderwick’s Field Guide to the Fantastical World Around You, a book about identifying and protecting yourself from faeries. 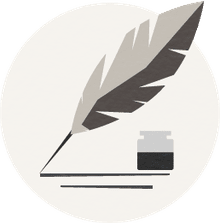 While the first book is quite mild and provides a basic introduction to the human characters and the threat from the fantastical creatures, the action and suspense is ratcheted up in the remaining books. The Grace children come in conflict with goblins, a shape-shifting ogre, dwarves, elves and other frightening characters. The series ends with the kidnapping of Mrs. Grace and her children’s desperate, and ultimately successful, attempt to rescue her. The short length of these children’s novels - about 100 pages - the uncomplicated, yet suspenseful and scary fantasy stories, the engaging main characters, the attractive design of the small hardbound books and the full-page pen and ink illustrations in every chapter make the books particularly appealing to younger children who are independent readers or who enjoy having an adult read to them. Tony DiTerlizzi is a best-selling author and an award-winning illustrator. His books include Jimmy Zangwow's Out-of-This-World Moon-Pie Adventure and Ted. Mary Howitt’s The Spider and the Fly was awarded a Caldecott Honor because of the quality of DiTerlizzi’s illustrations. Tony DiTerlizzi is both the co-author and the illustrator of The Spiderwick Chronicles. He has illustrated work by such well-known fantasy authors as J.R.R. Tolkien and Anne McCaffrey. His pen and ink drawings in The Spiderwick Chronicles give life to the characters and help to set the mood of adventure and suspense. Holly Black is also a best-selling author. She specializes in contemporary fantasy novels for teens and children. Her first book, Tithe: A Modern Faerie Tale, a fantasy novel for young adults was published in 2002. Although they have know one another for a number of years, The Spiderwick Chronicles series and related books represents the first collaboration between Tony DiTerlizzi and Holly Black.